You are an artisan bread baker. Really, trust me. It’s Monday. It’s cold and wet. It’s the first day of the rest of your life. A perfect time to amaze yourself. Learn something about yourself that you didn’t know. Trust me. You are a fantastic baker of artisan bread. Really. You are. Just follow the simple instructions here and begin your voyage of discovery. I was lucky enough to learn the basics of bread making from Feast Rising Bakery’s Patrick Crabtree in Hull but then he shared his guru with me. 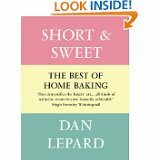 I am now a disciple of Dan Lepard and his sacred text “Short and Sweet”. Not so much a book, more of a diving platform into a stream of consciousness. Think bread and create. Once you learn to make a few basic loaves you begin to experiment and create new delights. I started with Dan’s simple wholemeal loaf and took off from there. Interestingly I didn’t like the texture of all wholemeal so I tried various mixes and today I want to share my recipe – so here is Erik’s rye French loaf and pain de campagne with olives, with big thanks to Dan. First, chop up a fist full of dark, well-drained olives. Run around the kitchen and find 300g strong white flour, 150g rye flour and a tsp of salt. Dry stir them together. Melt 50g of butter. Put 300ml of warm water in a large bowl. Add 2 sachets of fast active dried yeast (14g), stir to dissolve. Add 2 tsp of golden granulated sugar and one half a standard Vitamin C fizzy tablet. Yes, I really mean that. When all dissolved fold in the flour to make a soft dough. Then squidge in the butter and the olives. Form a ball of dough in the bottom of the bowl and leave it alone for ten minutes covered with a tea towel. sheets. The French loaf is on a special tray with hundreds of tiny holes which allows the heat to crisp up the crust beautifully. I’ve had my tray for years but you can get a double loaf tray for under a tenner from “Divertimenti on line. Go to the site, click on Bakeware, then on loaf tins and scroll down to French Bread Pan. When they are risen pop them into a hot oven, 240C, for about 15 minutes, turn it down to 180C for 5-10 minutes and hey, as I said, now you are an artisan baker. Lucky, clever you. And it’s only Monday. First, chop up a fist full of dark, well-drained olives. Find 300g strong white flour, 150g rye flour and a tsp of salt. Dry stir them together. Melt 50g of butter. Put 300ml of warm water in a large bowl. Add 2 sachets of fast active dried yeast (14g), stir to dissolve. Add 2 tsp of golden granulated sugar and one half a standard Vitamin C fizzy tablet. Yes, I really mean that. When all dissolved, fold in the flour to make a soft dough. Then squidge in the butter and the olives. Form a ball of dough in the bottom of the bowl and leave it alone for ten minutes, covered with a tea towel. with hundreds of tiny holes which allows the heat to crisp up the crust beautifully. I’ve had my tray for years but you can get a double loaf tray for under a tenner from Divertimenti on line. Go to the site, click on Bakeware, then on loaf tins and scroll down to French Bread Pan. And don’t forget to check out the Guru of bread making Dan Lepard.